Vintage Kilo Sale - Would I Do It Again? 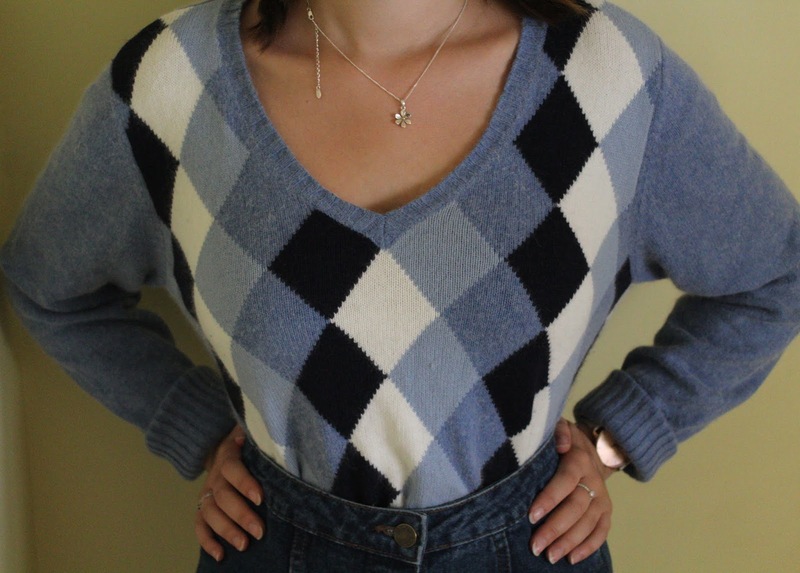 I had been meaning to go to a vintage kilo sale for ages, so when a friend popped me a message on Facebook, telling me about one nearby and asking if I wanted to go, the answer was a straightforward "Omg yes!!" If some of you are a bit confused, a kilo sale is basically a collection of vintage clothes, which you pay for based on weight, instead of the item. In this case, it was £15 per kilogram. So we got off the train last weekend, and arrived at the community centre it was based within. There was a makeshift sign in comic sans which read "kilo sale this way," so we made our way through back entrances into the room. It was filled with racks of clothes - shirts, trousers, skirts, coats, cardigans... you named it, they probably had it. So I began sifting through shirts that I definitely could not pull off, saw a gorgeous cream cardigan to find out it featured a large hole and a rather dubious stain and thought, "perhaps this isn't for me." But, as I continued searching, I found a coat. 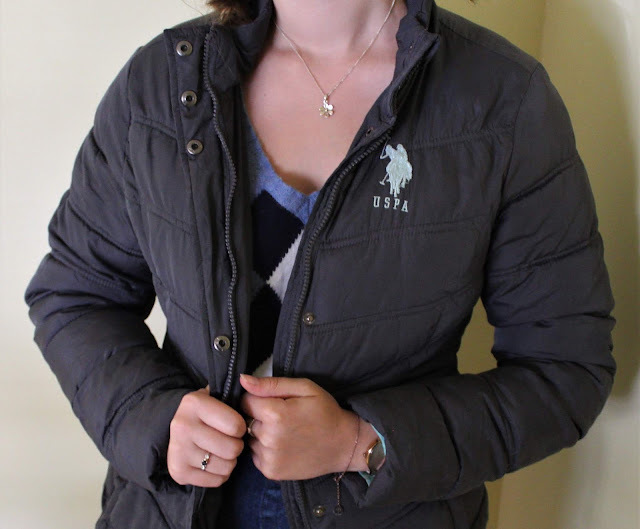 A vintage US polo padded coat in pretty good condition. I tried it on, awkwardly posing in front of my friend's phone to try and see if it suited me and thought "well this is fab. But it's a coat. It's going to weigh a lot." I thought I'd ask at the end anyway, and carried on searching. After giggling at some of the items we picked up, I found a lovely blue jumper, to look at the label and find that it was Tommy Hilfiger. "This is too good to be true," I laughed, as I asked the woman for the weight of the clothes, preparing to say "Oh no sorry that's a bit too much!" and sadly put the clothes back. She first weighed the coat. "So that would be £7.50." "And the jumper is £4.50, so altogether that's £12." I grinned a bit too much and said, "Yes that's great thank you!" and walked out not quite believing my luck. Coat: It's far too warm at the moment for a coat like this, but it'll be perfect to wear as the weather gets colder, especially as the colour goes with anything! So, the answer to my question - Yes I would absolutely go to a kilo sale again!! I mean, who can resist a good bargain? 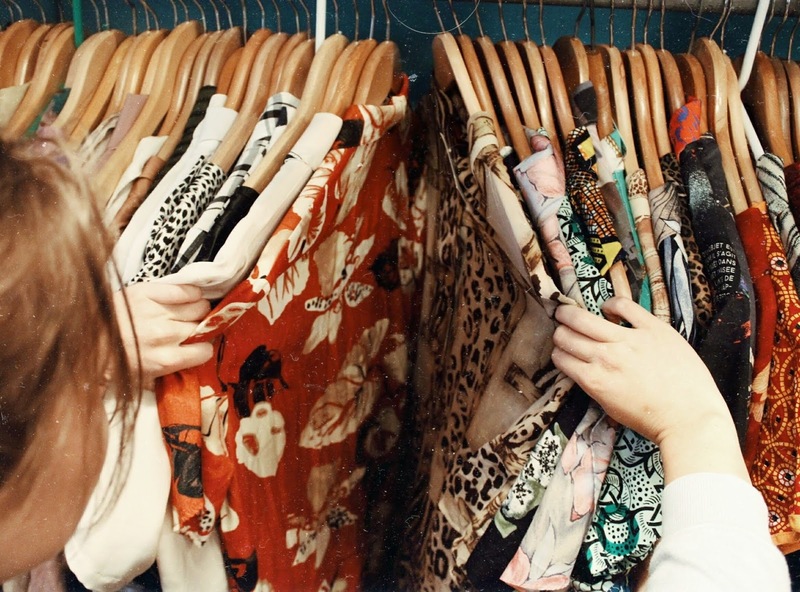 Have you been to a vintage kilo sale? If so, did you find any hidden gems? Sales like this are just the best! This type of sale is interesting, I know I'd like it because most of my clothes are small as it is XD. Glad you've found some nice clothes for a great deal! You've found some good picks. I haven't been to a vintage kilo sale before but I would definitely like to check it out. They're definitely worth a visit, thank you for commenting! That sounds so cool! I've never heard of that before! Thank you, I'd definitely recommend!